As 2019 presidential election draws near, the ruling party, APC, has wooed the Igbo people to support their candidate, President Muhammadu Buhari to go for 2nd term. This is as the party’s chapter in Southeast believes that Igbos, ruling Nigeria will be easier if they support Buhari for 2nd which the tenure ends in 2023 paving a way for an Igbo man to emerge as President. 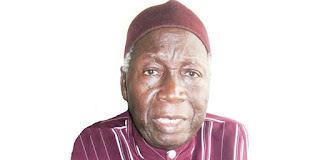 Reacting, a former Igbo leader, Dr. Dozie Ikedife, said Igbo people are no more interested in who becomes the President of Nigeria, adding that it’s better to divide the country let Igbo be on their own. Speaking to newsmen, Ikedife said: “I am not interested in who or when Igbo will produce president in Nigeria. We have gone beyond that. “The large number of agitators for self determination is an indication that the people want to be on their own. “Because there appears to be lack of coordination among the pro-Biafra agitators, we are trying to set up a coalition that will coordinate the activities of those clamouring for self determination. “The good thing is that none of them is saying it does not want Biafra. “Even other tribes in Nigeria are clamouring for self determination, especially with the problem of the Boko Haram and the herdsmen.